If you’re reading this, I bet your weight is holding you back from living the life you crave. Life isn’t all about the weight but yet it’s ALL about the weight. For those of us that struggle with being the token “fat girl“, weight dictates every single thing. It shouldn’t but it’s embedded in our thoughts. It’s been like this for so long that we don’t even know there’s a better way. How we look and feel influences so many other decisions in our lives. Here are ten ways your weight is holding you back from living an irresistible life. There’s a belief that once we lose weight and have the perfect body, we will finally be happy and everything will be perfect. Cue the rainbows and unicorns! 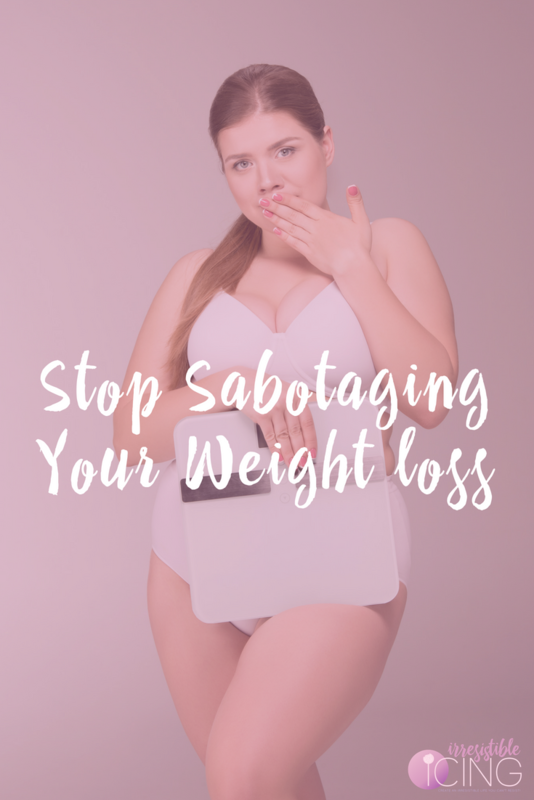 While losing weight can help make you feel (and even look) better physically, it’s not going to solve all the underlying issues in the first place. 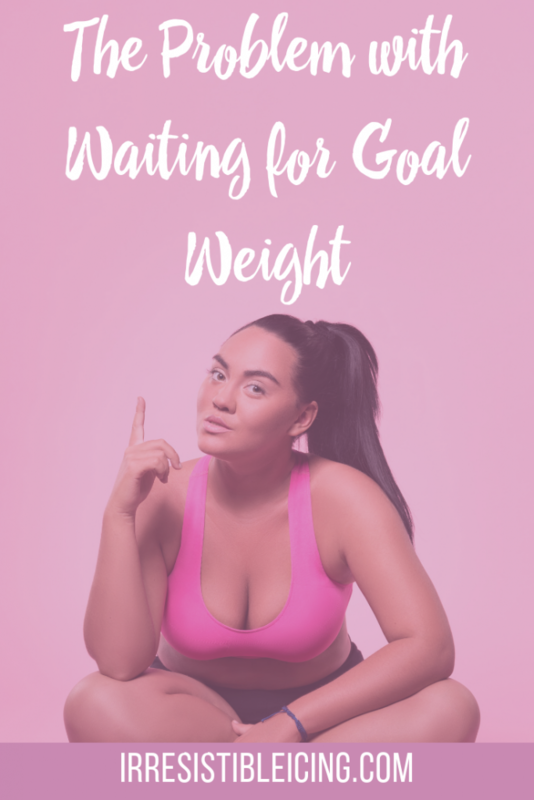 You can’t wait for the weight because life is happening now! When you’re miserable in your own skin, the last thing you want is for anyone to see you – to really see you. To disguise our physical size, we metaphorically play it small so we become invisible. This can prevent you from reaching professional goals and seeking out new relationships. Stop playing small! I was bullied as a kid for my weight. 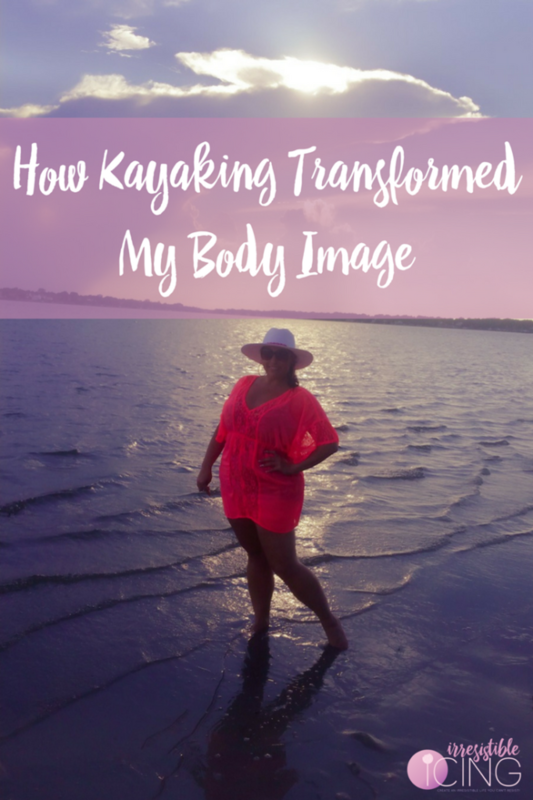 Even as an adult, I have had nasty comments made that left an imprint on my body image. This fear of what others think causes you to go into a shell and not stand up for yourself. Even if you have a great idea to share, you may hold back in fear that others will judge you based on your weight. 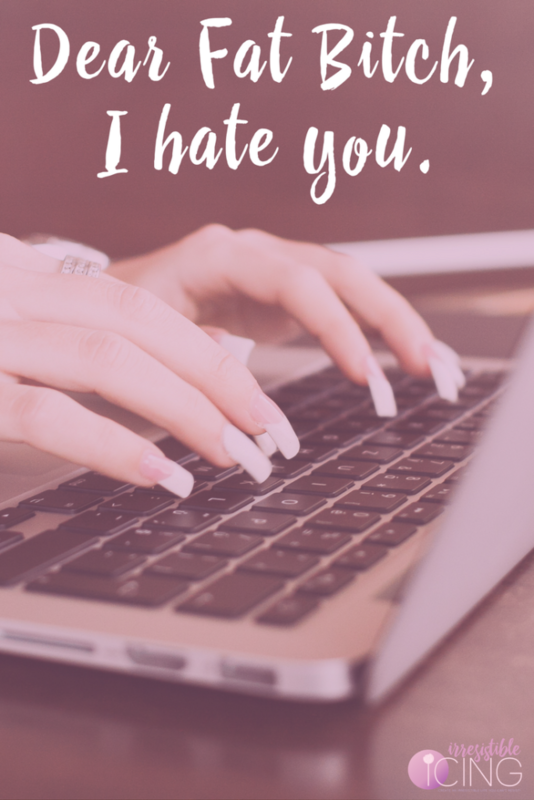 Even if someone says something mean, you don’t stand up for yourself for fear that they may “go there” and call you fat. There was a time when I wouldn’t do anything adventurous. Mostly because I’m afraid of heights but also because I was afraid of a weight limit and the judgment that may come from some stranger. I was boarding a carnival ride as a teenager with two of my skinnier friends. I was sitting on the inside of the cart and I was told by the creepy carnival man that I had to move. Yea. He did this by grunting and pointing to a sign that said “bigger people to the outside.” So, that stuck with me and stopped me from riding roller coasters, kayaking, snuba diving, horseback riding, or anything adventurous. Most of us didn’t gain weight because we hate food. 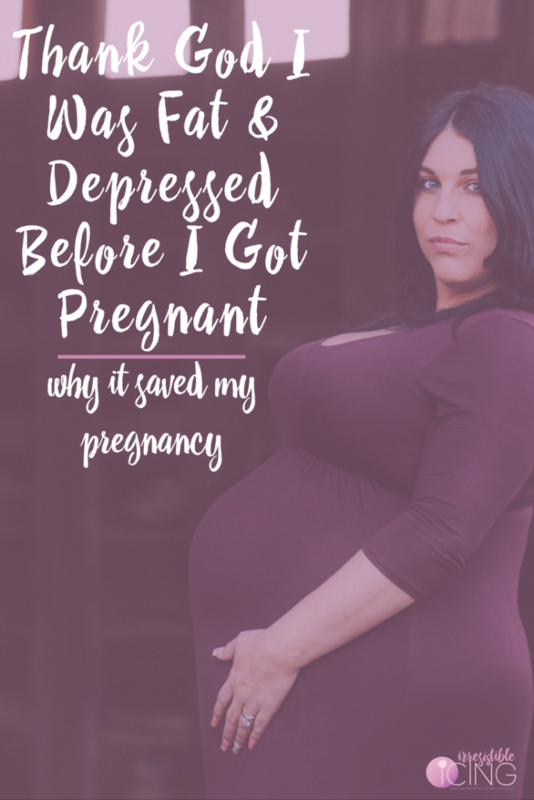 If you’re like me, a vicious cycle of emotional binge eating mixed in with bad body image got you here. Even still, we find ourselves at times not wanting to eat in public. Only to go home later and binge to make up for it. Listen, eat the food. Order the drinks. Enjoy the company! This one breaks my heart most of all. I love fashion. I love expressing myself through style. I’m actually at a crossroads right now where I’m redefining my style. BUT, I refuse to let my weight hold me back from wearing fierce outfits that accentuate my curves and make me look irresistible. Screw the “fashion rules” that say curvy girls can’t wear stripes or prints or crop tops. Do YOU! 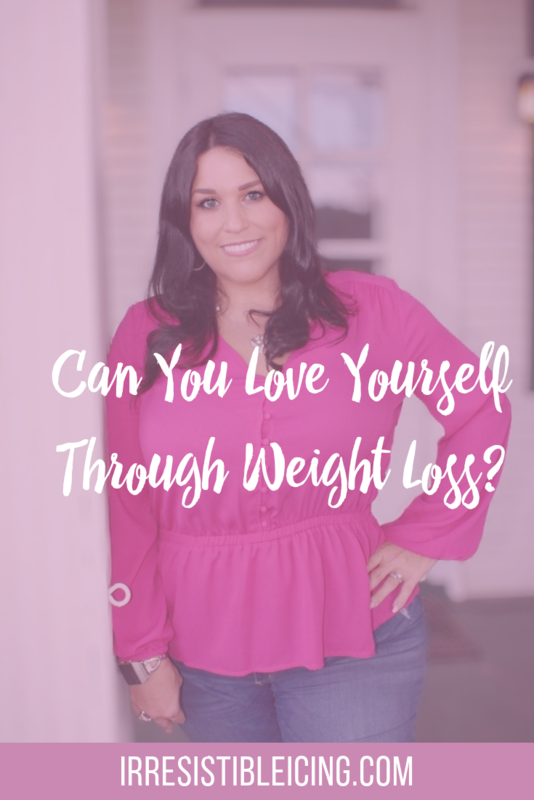 “I’ll take the vacation when I lose 50 pounds.” “I’ll start my business when I lose some more weight.” There are so many things we put on hold because of our weight. 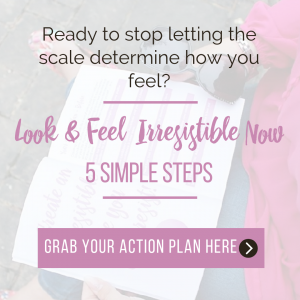 Your weight and body image are holding you back from living the life you crave…and deserve. If not now, when? I’ve had several different opportunities to speak be it at conferences, events, or even on video. As much of an accomplishment as that is, all I focus on is how fat I look. “Nobody will respect me or take me seriously when I look like a fat whale.” So instead of celebrating your accomplishments, all we focus on is our double chin or how big are stomach rolls looked. When you get a promotion, a speaking gig, or a new client, you’re getting that because of your talents – not because of your weight.You have celebrate all of your wins. Now. Not 50 lbs from now. I wanted to get my makeup done, try a new hairstyle, get fitted for a bra, get a massage, run a 5K, and take a kick-boxing class. Not all at the same time! I put some of these things off because of the fear of judgment once again. I was convinced that they might think (or say out loud) “Why do you care about getting your hair done when your that fat?” OMG! Seriously? If anyone did say that they would be REAL sorry these days. Get your glam on, girl! Who cares what anyone thinks. Take that class, get you a massage, go out dancing. Just have fun! 10. You’ve Failed So Many Times Why Try Again? I don’t believe in diets. I do believe in eating food in moderation, living an active lifestyle, and taking care of your mind, body, and soul. 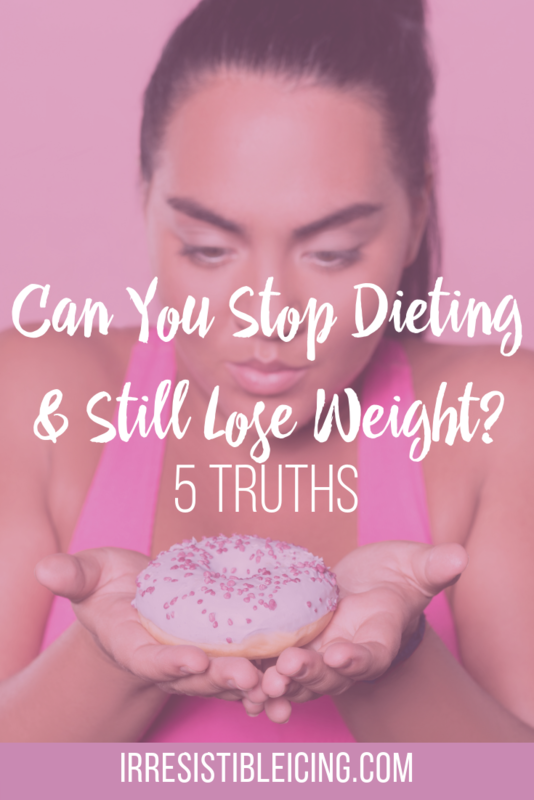 When you’ve been in this cycle of yo-yo dieting, you’re afraid to make a commitment to a new lifestyle. You think about how many times you’ve failed in the past – so what would be different this time? BUT, what happens if you don’t try? 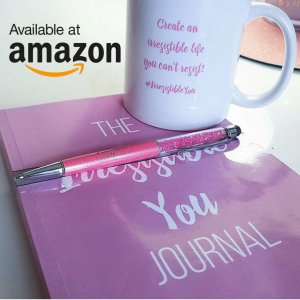 You’ll be living the same miserable life but this time with regrets and wondering ‘what if?” Isn’t it time you stopped letting your weight hold you back? Do any of these resonate with you? 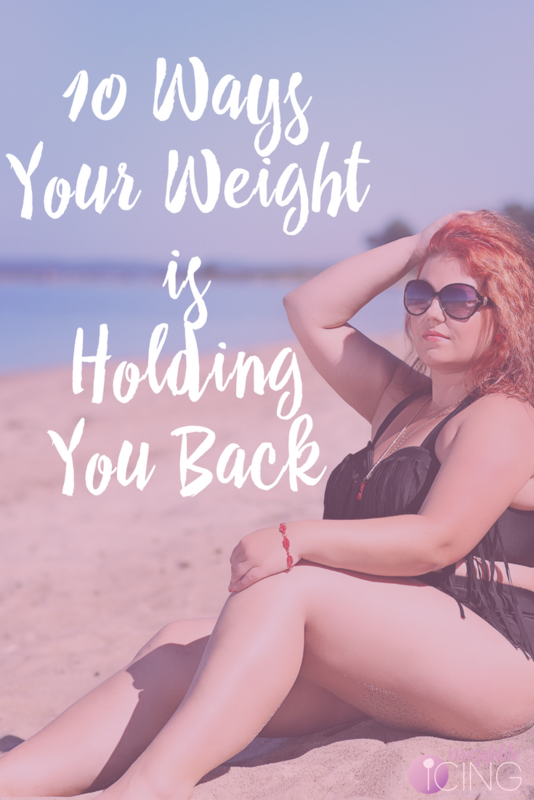 Tell me how your weight is holding you back from living the life you crave. 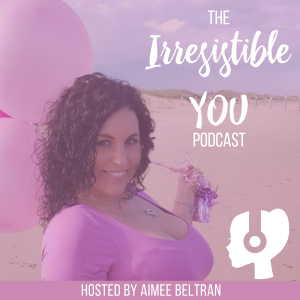 It’s time to take all of these negative rules, break them, and create your irresistible life. 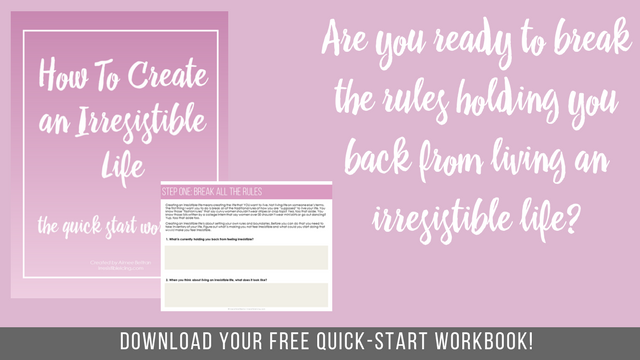 Download my FREE workbook: How To Create an Irresistible Life. 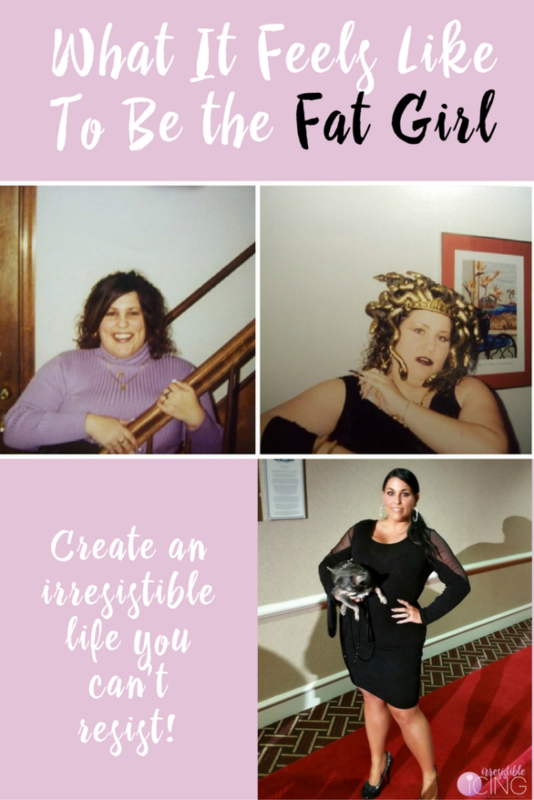 Included in the workbook are my five guiding principles of an irresistible life. Including “Break the Rules” along with an activity to help you re-write them. 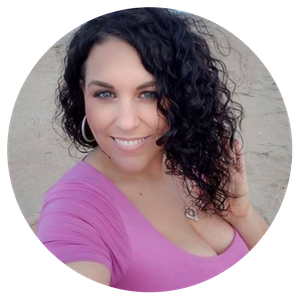 « The Power of a Selfie + Giveaway!